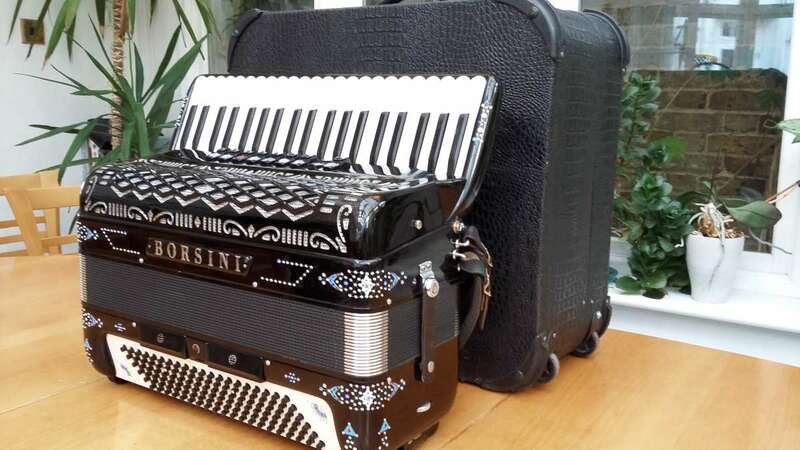 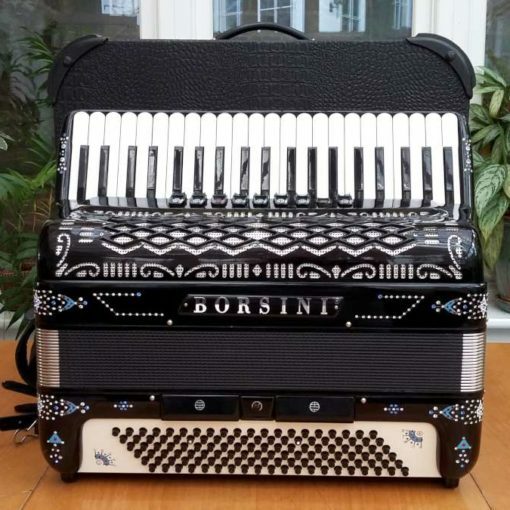 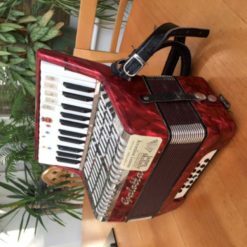 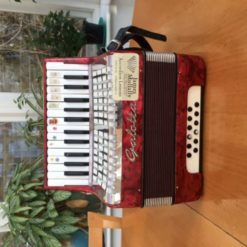 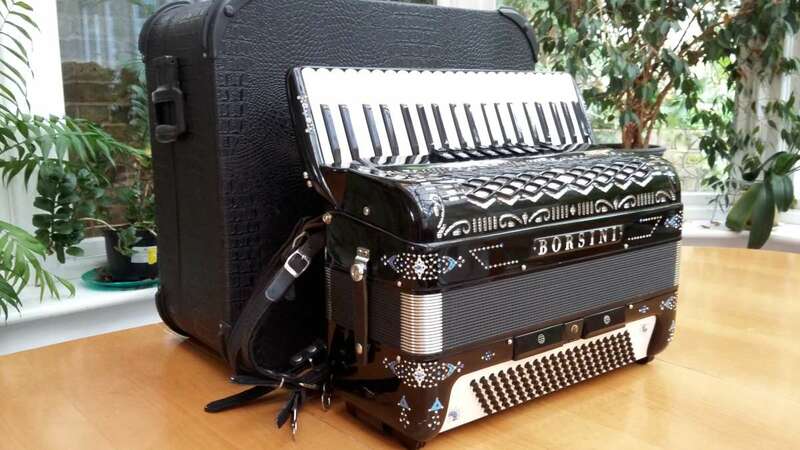 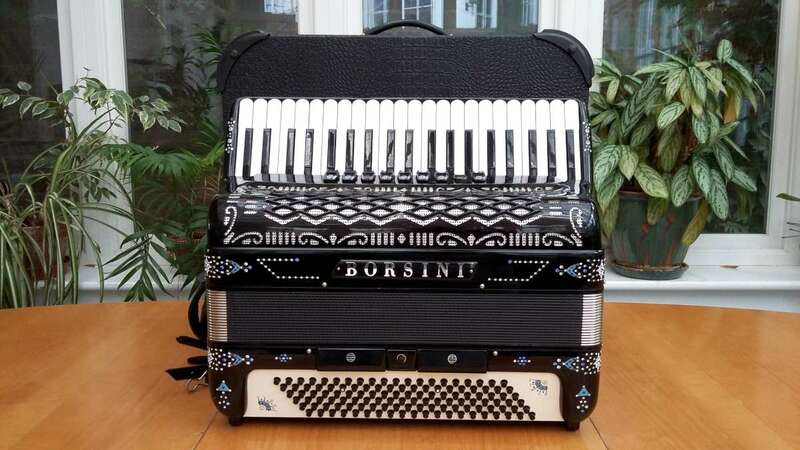 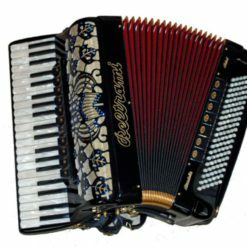 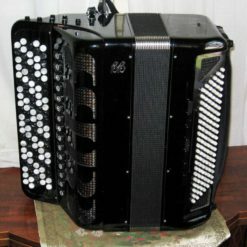 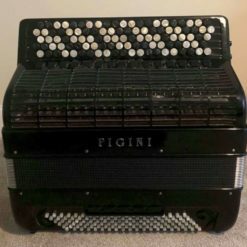 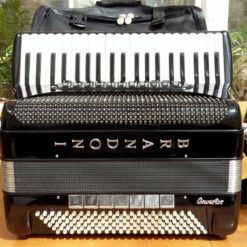 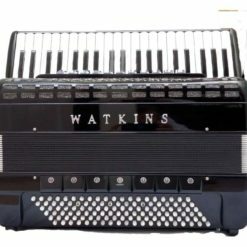 A 41-key/120-bass Borsini accordion. 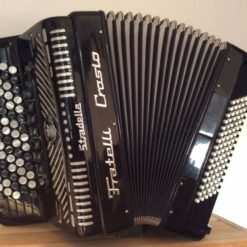 Built in the Italian town of Castelfidardo by this renowned manufacturer, this instrument has 4 sets of treble reeds (16’+8’+8’+8′) sets of treble reeds and 5 in the bass. 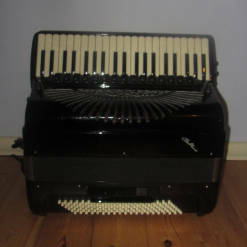 It features good quality reeds and has musette tuning on the three 8 foot sets of reeds. 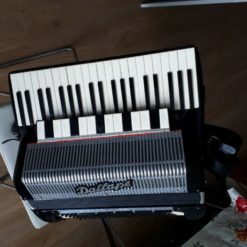 It is a non-cassotto instrument. 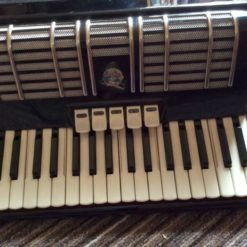 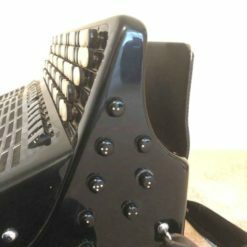 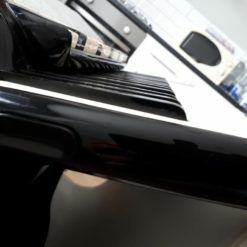 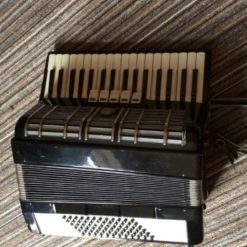 This instrument is in very good condition and plays like new. 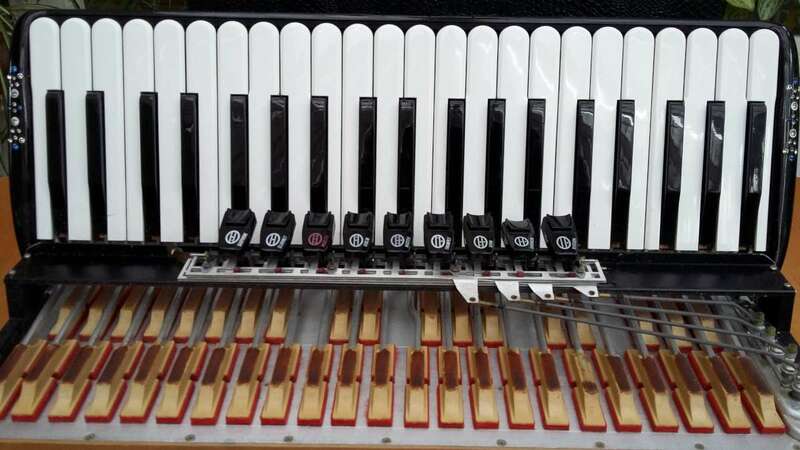 The tuning is also in good shape. 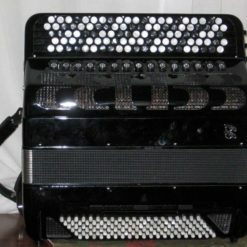 Finished in an attractive black with light decorations and rhinestones. 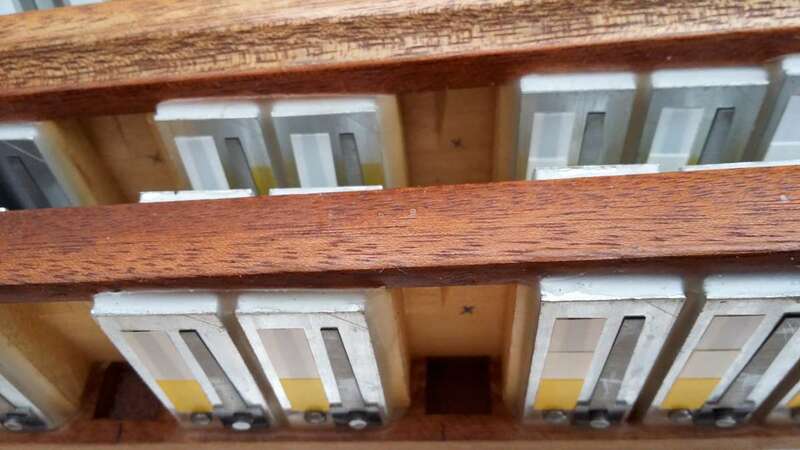 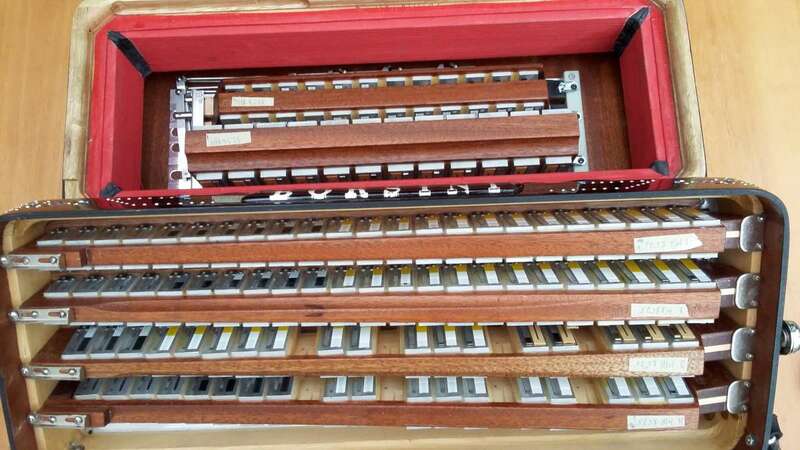 9 treble registers ensure all the possible reed combinations. 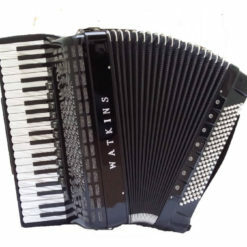 Fantastic price. 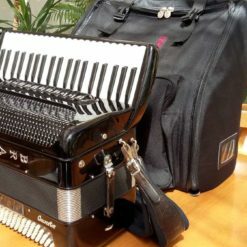 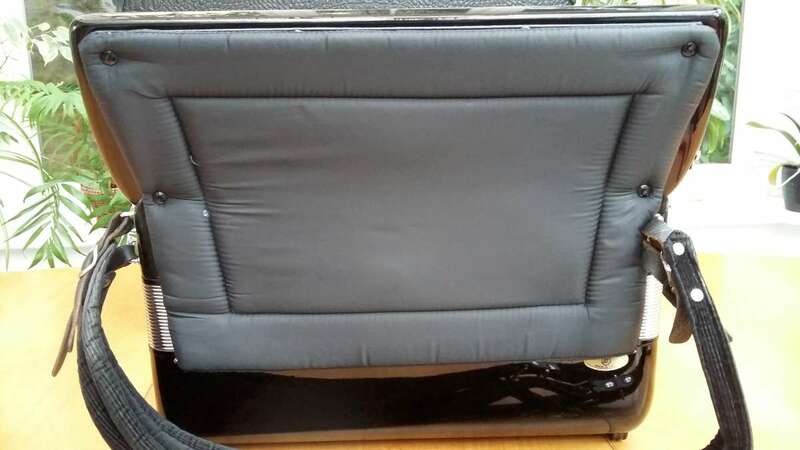 Hard case and shoulder straps included.